Church and his team have developed a new fan club pre-sale system that will allow them to remove scalpers from the pre-sale process before it even happens. Church Choir members will pre-register for the fan club pre-sale prior to it starting. Once verified, fan club members will receive buy links via text message when the pre-sale starts. Scalpers that are found to be gaming the system and posing as real fans won’t receive the buy link at all. Church has secured a larger allotment of fan club tickets than in the past so Church Choir members will have much better success buying tickets in the pre-sale. The Church Choir pre-sale will be the ONLY pre-sale. There will be no venue, credit card or radio pre-sales. By doing this – investing time and energy to create a more efficient and balanced model – the Church team is not only communicating directly to the fans the best source for face value tickets, but also building a model that protects consumers and can be adopted by the industry as a whole. Pre-sale registrations for his Holdin’ My Own Tour began tonight, Aug. 9, and will run through 11:59 p.m. CT on Tuesday, Aug. 23. Pre-sale purchase links and unique codes will be sent directly via text message to pre-registered standard and premium fan club members, affording them a three-day window to purchase tickets to the Holdin’ My Own Tour. This fan club pre-sale begins at 11 a.m. CT on Friday, Sept. 9 and ends on Sunday, Sept. 11 at 11:59 p.m. CT.
Church’s announcement comes on the heels of his single, “Record Year,” from his album Mr. Misunderstood, hitting No. 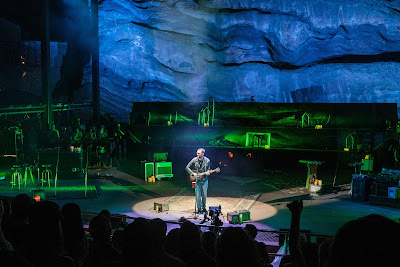 1 Aug. 1 and in the middle of his two-night, sold-out stint at Red Rocks, one of his few 2016 performances. 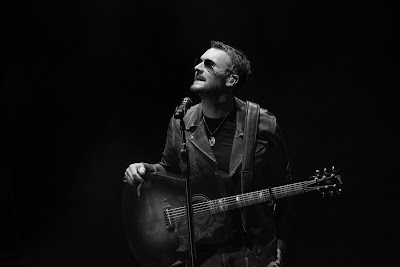 For further details on the ticketing system plus information on VIP packages, "These Boots by Lucchese" and Church's custom-designed Gibson Hummingbird Dark on tour, stay tuned to www.ericchurch.com.